Walt Sandford is a community health social entrepreneur with a rich history in San Diego. With a proven track record in fundraising, nonprofit management, community relations and business development, Walt has distilled life's lessons into a bodacious goal to inspire future generations to heal our land and Grow Their Own Food. In addition to leading SDCGN, Walt is garden manager at Roosevelt Middle School, co-founder of Good Neighbor Gardens, certified master composter and aspiring master gardener. In a past life, Walt directed the Regional Task Force on the Homeless, San Diego Neighborhood Funders and created Sleepless in San Diego. He earned a bachelor's degree in biology at UCSD and master's in public health at SDSU. Walt is the humble father of three college-age children, an avid swimmer, tennis player, and grill master. Favorite entree: Wally Gator's Gumbo. Dietary staples: soup, salad and smoothies, each infused with freshly harvested fruits and vegetables. Secret ingredient to healthy living: one gallon miracle water per day. Judith is the founder and recently retired Executive Director and CEO of the San Diego Community Garden Network (SDCGN). She has been a member of the San Diego Master Gardener Association since 2003. In 2010 she founded SDCGN where she has applied her long time interests in public health, the environment, public service, and horticulture. From 2010 to 2012 she worked for the City of La Mesa as their Community Garden Consultant. Judith's first career was in the Air Force and the Public Health Service where she worked as an environmental health officer, an occupational health consultant, a family nurse practitioner and a mental health nurse. After retiring she worked with at risk youth, attended the Ornamental Horticulture program at Cuyamaca College, and worked for Physician Partners introducing electronic medical records to doctors in an outpatient setting, prior to starting the Network. An urban planner by trade, Emily has been thinking about food planning issues ever since she started her first vegetable garden as a teenager. With a solid background in city planning, active transportation planning, food planning, and community organizing, Emily strives to create more opportunities for urban agriculture and activated public spaces through her work with SDCGN. 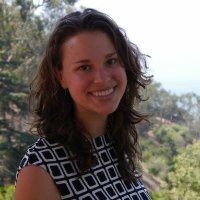 As a philanthropy professional, Emily applies her passion for collaborative corporate giving as a Social Responsibility Representative at Qualcomm Incorporated. Emily has earned a Bachelor of Science in Environmental Design Urban Studies from the University of Massachusetts Amherst and a Master of Planning from the University of Southern California. Researcher at UC San Diego’s Laboratory of Comparative Human Cognition, and Ph.D. Candidate in the Department of Communication, where he is enrolled in the Science Studies and Cognitive Science programs. Studies and helps to implement collaborative community partnerships that focus on science learning through urban agriculture, do-it-yourself digital sensor informatics, and environmental stewardship projects. 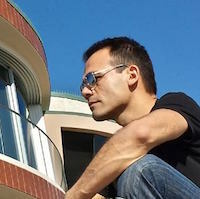 With a degree in computer science and over six years of experience in the IT industry, he concentrates on integrating digital technology and informal science learning in everyday settings. With degrees in Human Development and Linguistics and a love for all things natural, Susan's circuitous, yet inevitable transition into the field of sustainability and urban agriculture came about after witnessing the many benefits that green spaces and a healthy relationship to food can bring to communities. 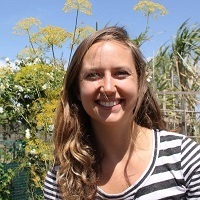 Her interest in how individuals learn as well as a desire to reform food policy in urban settings has led her to design and implement highly interactive informal curriculum for youth and adults centered around urban agriculture and food sustainability. As a community development coordinator within SDCGN, Susan is also actively involved in spreading awareness of the benefits of urban agriculture as well as helping to connect individuals to resources that serve to strengthen their communities. George has been working with the Network since 2012 assisting in developing gardens and helping them to create a landscape plan for the garden that reflects the vision gardener want to create. He has prepared plans for at least eight gardens over the last two years. The most recently completed garden is the Intergenerational Garden at Cuyamaca Garden and the Chula Vista Mosaic Garden is currently under construction. Several others are in the visioning stage. He is on the governing board for the San Carlos Community Garden. In his professional career George has worked on a wide variety of projects including, schools, environmental projects, residential and commercial design. In 2010 Roy Wilburn was hired as Sunshine Care’s Director of Horticulture following twenty years of experience as a commercial farmer. You can usually find him in one of the five organic gardens, producing high quality organic fruits and vegetables for the residents and those in need in the Poway area. Roy’s other responsibilities include maintaining Sunshine Care’s beautiful greenhouse, fruit tree orchards, Memorial Rose Garden and the landscaping of its 32-acre facility. As a Master Composter, Roy handles the compost and vermiculture programs. Twice a month, he is with local home-schooled children and residents, directing the Sunshine Care Garden Club’s “Seed to Table” program. He generously gives his time to many school and community garden projects and was invaluable in the establishment of the Backyard Produce Project located on the grounds of Sunshine Care that provides fresh fruit and vegetables to low income local residents in need of supplemental food. He has broad experience in all aspects of agriculture that he is more than willing to share. Lauren is a big advocate of supporting local communities and providing a sustainable food source for all. She believes that growing and eating organic product is essential to a healthy and happy life, which everyone deserves. Lauren currently teaches yoga, and has earned her degree in Marketing at San Diego State University. For the future, she hopes to share her passion of connecting people with each other and the beauty of the outdoors. Diane is a former board member of SDCGN and is long time advocate for place-based community change. As such she chooses to live, work and organize in Southeastern San Diego and Compton, California. Diane has organized the People’s Produce Project, an initiative of Project New Village using food to re-energize and re-connect residents to their neighborhoods; explore opportunities to address food security; and honor a legacy of environmental stewardship. This initiative is mobilizing residents and other stakeholders, to create, collaborate and coordinate efforts to grow and distribute fresh fruits and vegetables in southeastern San Diego. The ultimate goal is to create and maintain a community food system. For the past 25 years, Moss has been the Executive Director for Children Having Children, Inc., a youth development organization with a focus on teen pregnancy prevention. Concurrently she has been in the leadership of Project New Village, a community-based collaboration of organizations and individuals working together to promote healthier living in southeastern San Diego. Dominick has been a member of Slow Food since 2003 and in 2008 helped found the Urban San Diego chapter after being on the board of the San Diego chapter for 2 years. 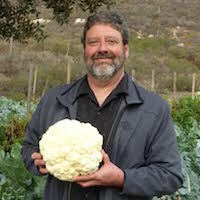 He served as the founding Co-Leader of the Slow Food Urban San Diego chapter for two years and also served as chair of the communications committee. Dominick is a real estate broker, a University of California Certified Master Gardener and makes cheese, raises chickens and farms in his spare time. Jay Lemke, Senior Research Scientist and adjunct Professor of Communication at the University of California, San Diego, in the Laboratory for Comparative Human Cognition. He was previously Professor at the University of Michigan, working in the Ph.D. programs in Science Education, Learning Technologies, and Literacy Language and Culture, and Professor and founding Executive Officer of the Ph.D. Program in Urban Education at the City University of New York. His research interests span all these fields and work in social theory and social semiotics, discourse analysis, video analysis, multimedia studies, games research, and most recently Design Research and the role of feeling in making meaning. Lisa is a graduate of California State University San Marcos. She started her career in community relations and nonprofit management at a hospice housing program. She then headed to PAWS San Diego, helping low-income seniors to keep their pets. She has been with Sunshine Care since 2007. Her passion has always been the well-being of seniors, kids and animals. Lisa enjoys live theatre, visiting national parks and going to the zoo. She co-founded the North County Intergenerational Council and serves on the Steering Committee for the North County Community Action Network and on the Live Well, San Diego! Leadership Team. Mike Cole, University Professor Emeritus in Communication and Psychology at the University of California, San Diego. He is also the Director of the Laboratory of Comparative Human Cognition. Cole’s work focuses on the elaboration of a mediational theory of mind. He has conducted cross-cultural research on cognitive development, especially as it relates to the role of literacy and schooling. His recent research has been devoted to a longitudinal study of individual and organizational change within educational activities specially designed for afterschool hours. These systems link universities and local communities and allow a study of the dynamics of appropriation and use of new technologies and cultural-historical approaches to human development. According to Cole’s methodology, mind is created and must be studied in communication. Paul grew up in Southeast Asia and Japan and moved to California in 1974. He attended Mira Costa College in Oceanside and Palomar College in San Marcos with a focus on graphic arts and ornamental horticulture. Paul owns and operates The Plant Wiz, an interior and exterior landscape design and maintenance company, servicing many local corporate offices and high-end residential accounts. 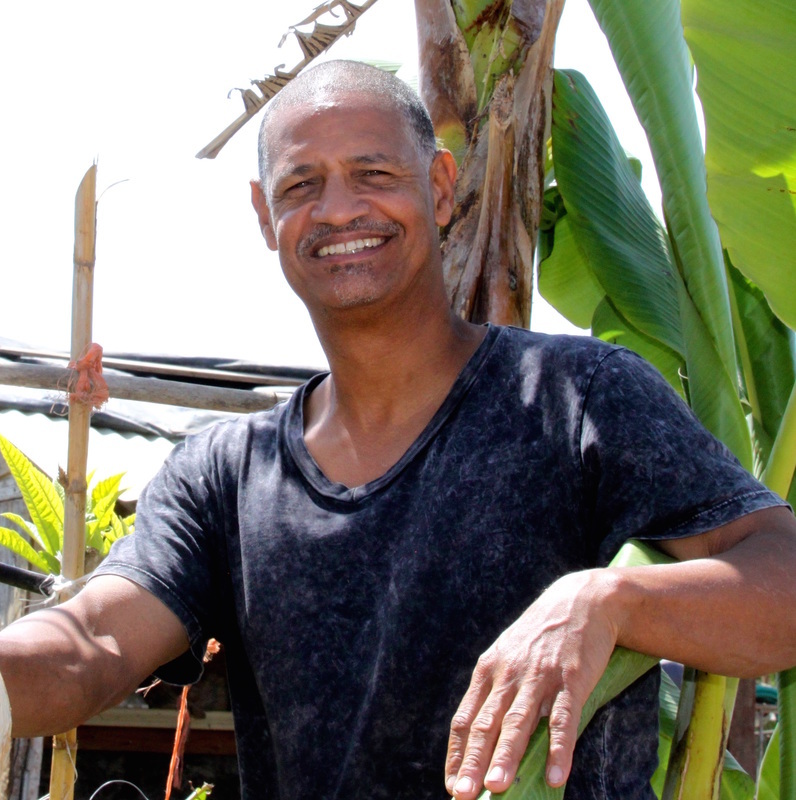 His passion is gardening and community awareness. Paul is a long time member of the Golden Hill Community Garden where he has served as both Secretary and Chair and has sat on a number of committees.